These are in the “Kids Cookies” section, so they’re a piece of cake, right? 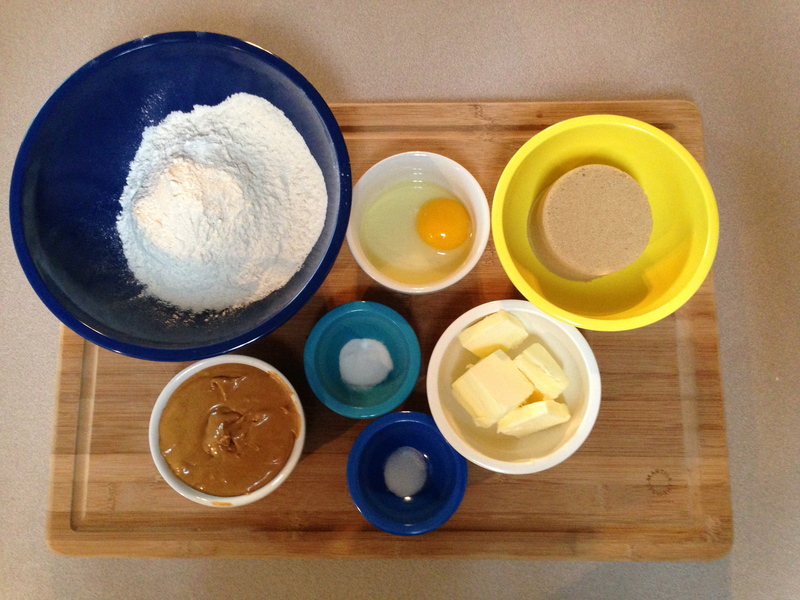 Step 1: Gather ingredients: Flour egg, brown sugar, butter, salt, baking soda, peanut butter. Looks pretty basic and easy. I’m feeling good and confident. 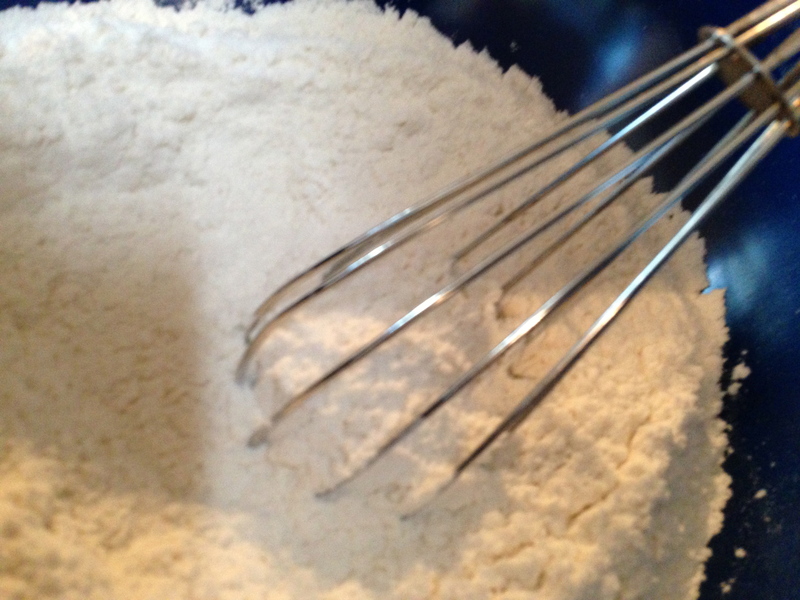 Step 2: Whisk together flour, baking soda, and salt. 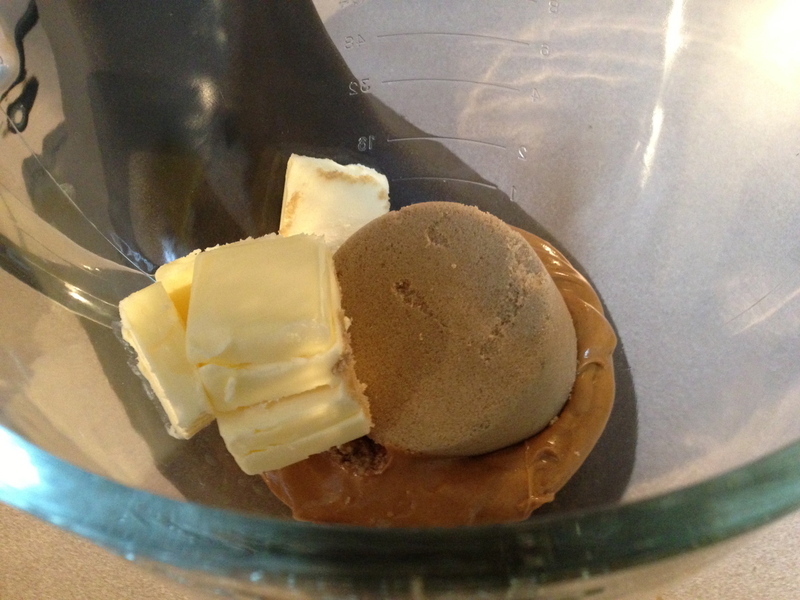 Step 3: Beat butter, sugar, and peanut butter. 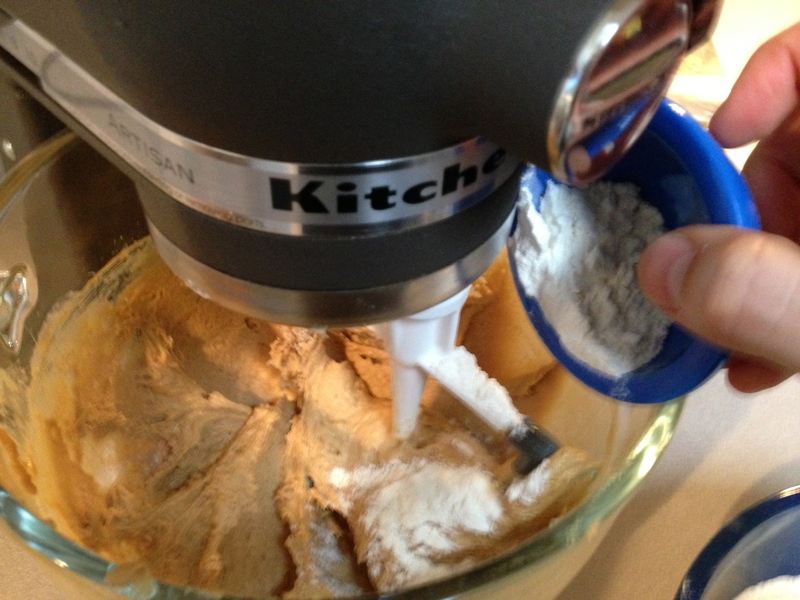 Step 5: Add flour mixture. 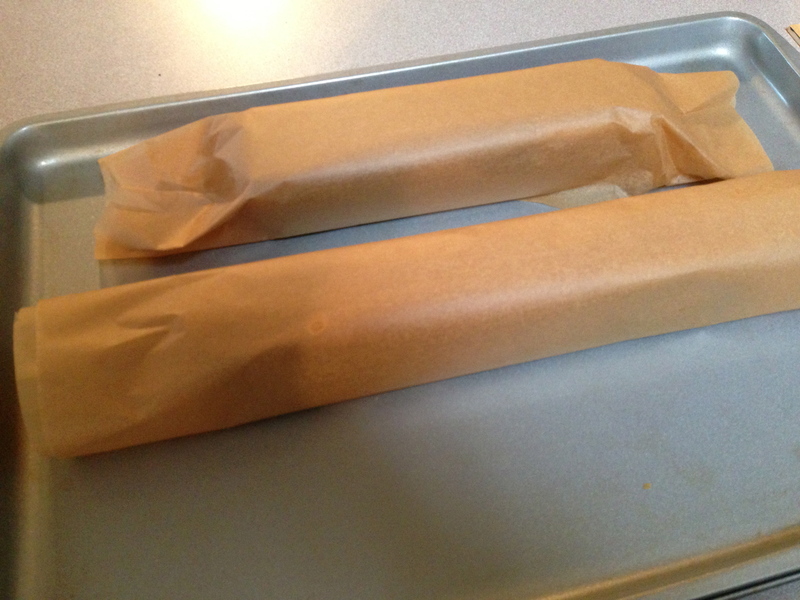 Step 6: Wrap into 8-inch rectangular logs. Refrigerate for at least 1 hour. If you were wondering, I still hate logs. I dread cutting/accidentally smashing them. 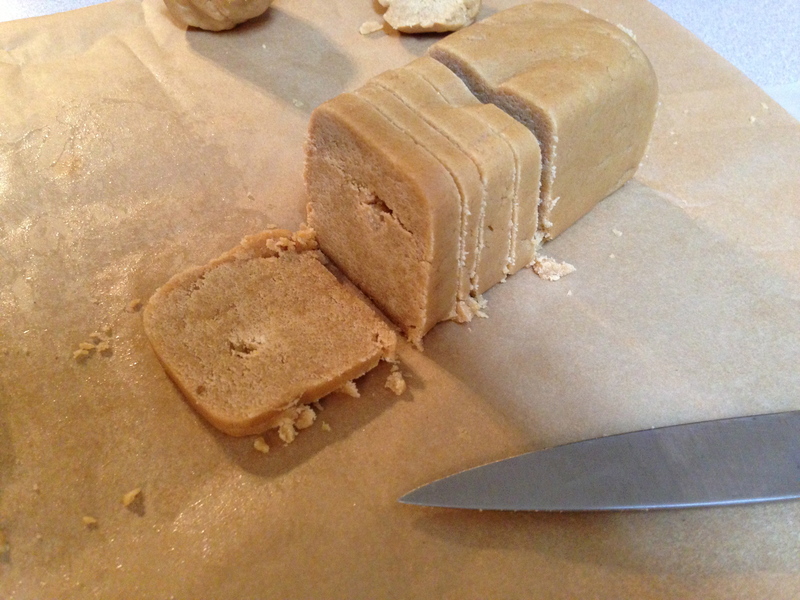 Step 7: Cut into 1/4-inch slices. It kinda looks like I’m slicing bread! Nice! 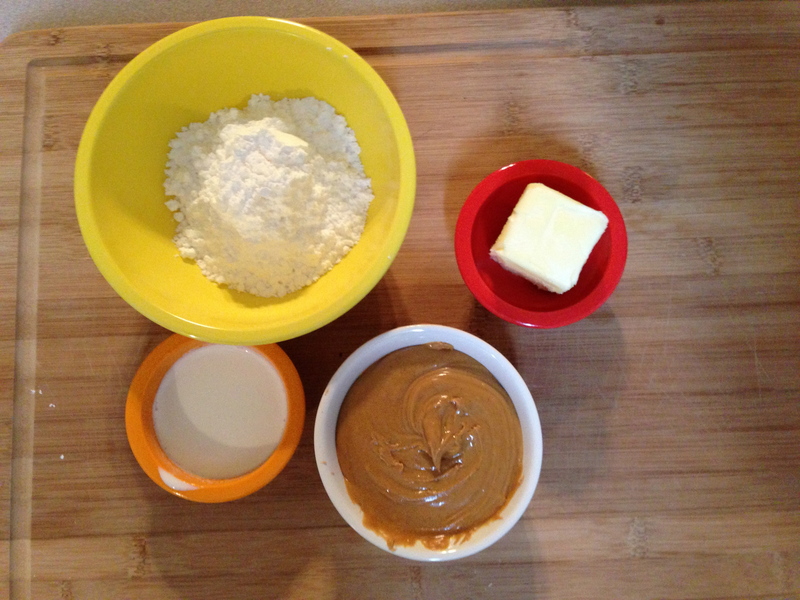 Step 8: While baking, gather ingredients for filling: Powdered sugar, butter, peanut butter, cream. 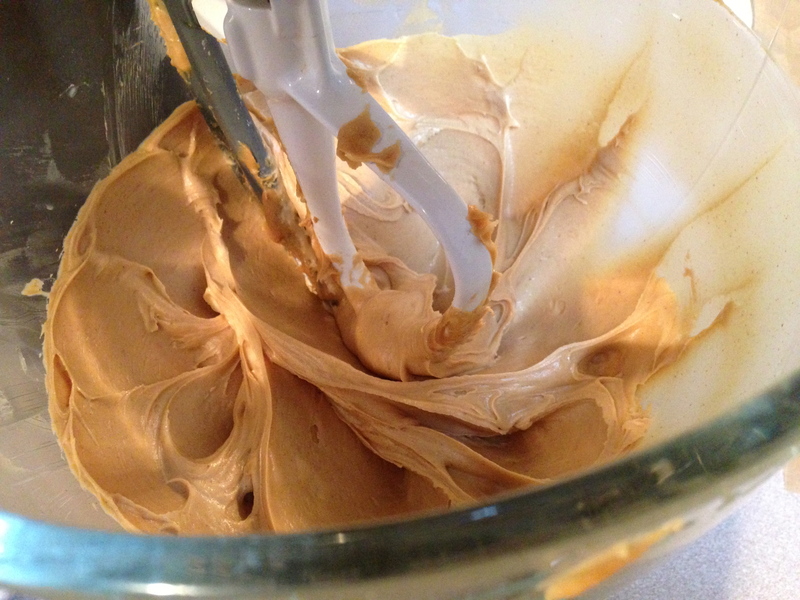 At this point, I’ve almost cleaned out the peanut butter jar. You better be happy. 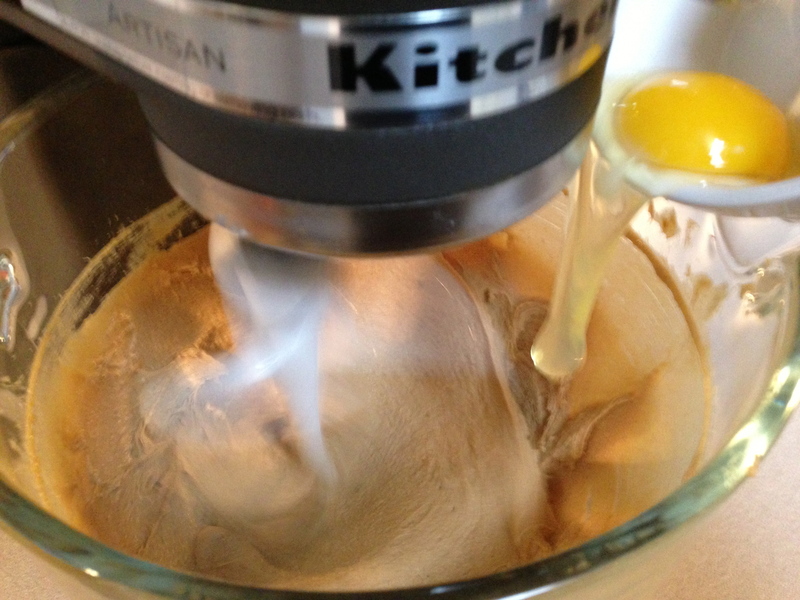 Step 9: Mix it up. 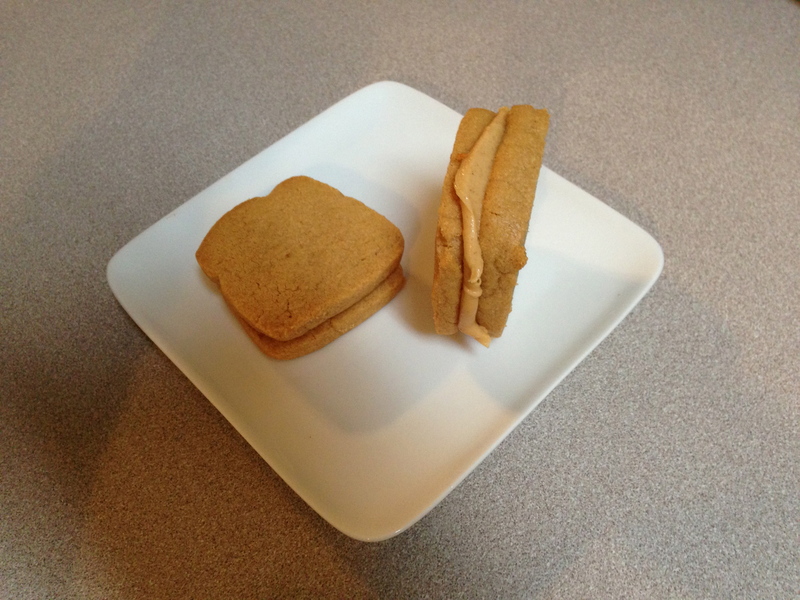 Step 10: Spread filling on bread cookie and top with another. Voila! 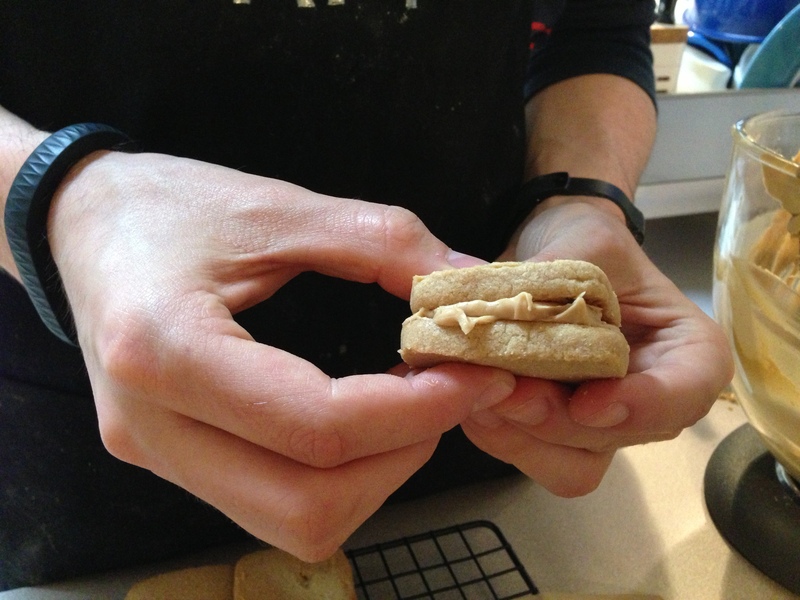 Now you have a peanut butter sandwich! 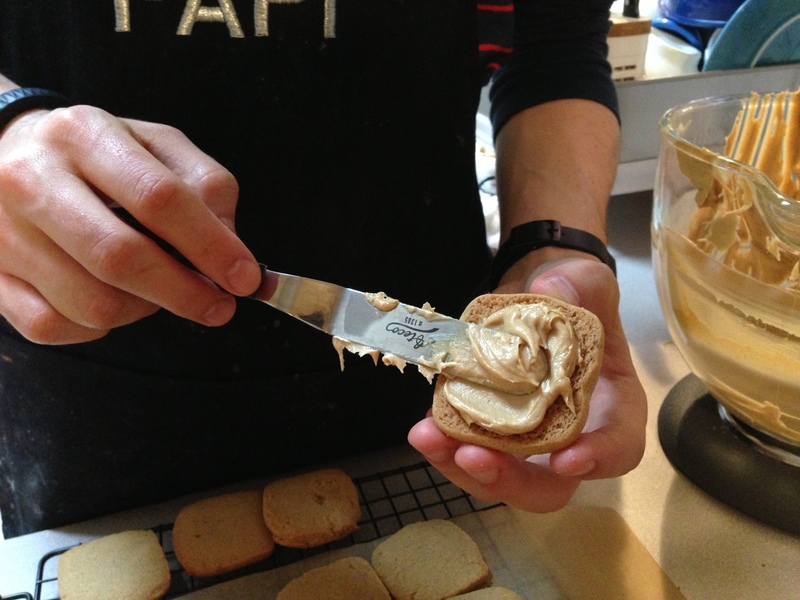 Eating peanut butter along the way makes you not want to eat the cookies. I didn’t have one. How do you make a perfect log? Mine had air pockets. Should I have smashed the dough down first? These were popular at work. I might make them again. Next time, should I add jelly? Great post! I’ll definitely be back! 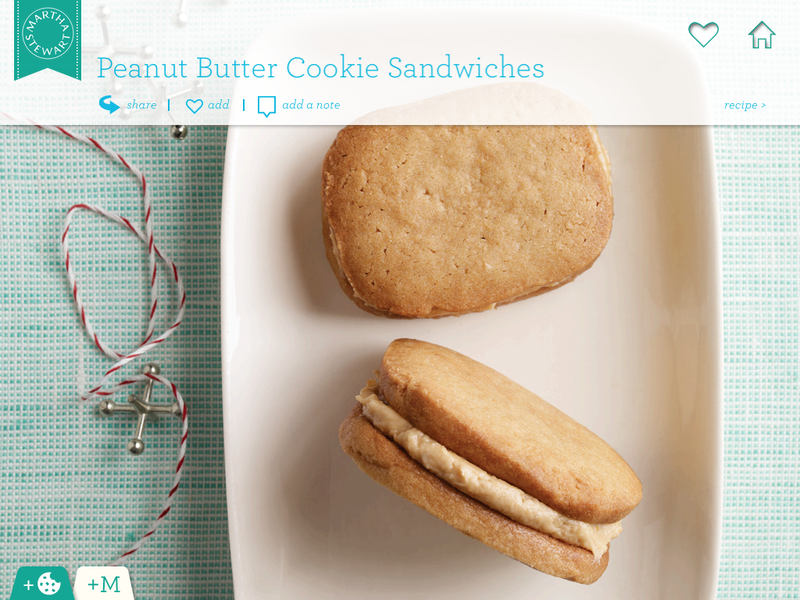 I love peanut butter cookies, and I’m always on the lookout for new recipes. I’m sure these will be popular with my co-workers as well. 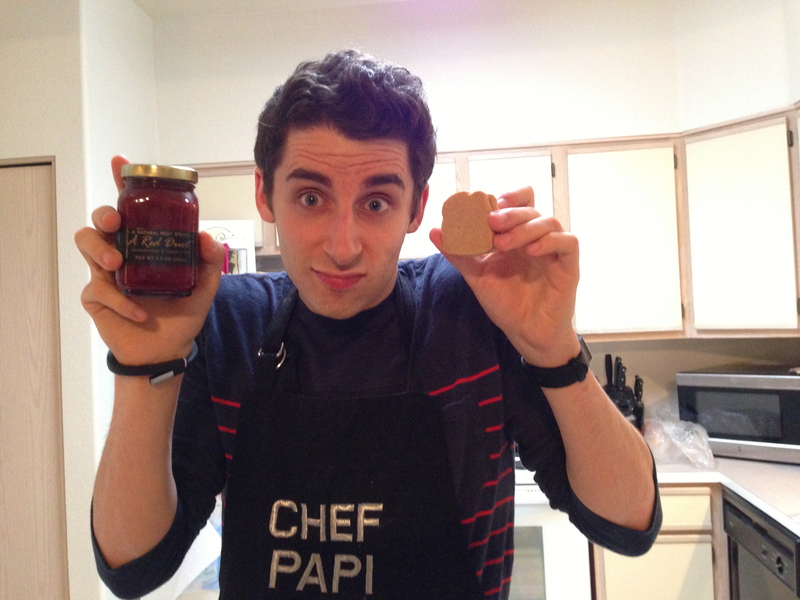 Thanks for the recipe, it seems yummy! !